여러분에게 이 사이트 통해서 더 많은 학습을 제공할 수 있도록 옛날부터 동영상 강의, 팟캐스트, 자료 등을 올리는 빈도를 높이고 싶었는데 그 중 하나를 만들려면 다른 사람과 시간을 맞추고 공간을 확보하고 내용 편집까지 해야되다 보니 자주 못 올렸습니다. 그런데 저 혼자서, 제 방에서, 짧게 동영상을 만들면 활씬 더 자주 올릴 수 있을 것 같다는 생각이 들었습니다. 앞으로 그날 벌어진 일에 대한 표현, 그날 들어오는 질문과 답변을 연습하는 시간이 되었으면 좋겠어요. 앞으로 더 많은 학습을 올릴 것을 약속 드릴테니 더 자주 사이트를 방문해주시기 바랍니다. 그리고 유투브 계정 갖고 계신 분은 ‘좋아요’를 누르시거나 댓글을 써주시면 대단히 감사하겠습니다. 아, 그리고 다른 동영상과 팟캐스트의 빈도를 낮추지는 않을 거고 이 동영상 일기는 별도로 진행합니다. 안드로이드 운영체제가 탑재된 휴대폰을 쓰시는 분들도 이제 더 편하게 제 방송을 들을 수 있게 됐습니다. 앱 마켓에서 무료인 ‘영어 공부 팟캐스트’라는 앱을 내려받으시면 ‘englishinkorean’을 들을 수 있습니다. I think you went a (little) overboard. Why, of all days, did it have to rain on the day we were going to have a picnic? The business really took off. 사업이 대박났어요. Do you have a 10-year plan? Based on an old Scottish folk song. 아이작 선생님이랑 촬영한 크리스마스 특집입니다! 끝 부분에 설명한 행사에 여러분 많이 참여해주시면 감사하겠습니다. Have a very merry Christmas, everyone! I’m starting to get into the Christmas spirit. It’s looking very Christmassy in here! That class is completely unmanageable. Her voice is unmistakable. / She has an unmistakable husky voice. It was an absolutely unforeseeable turn of events (사태 전환). In Korea in the 70s it would’ve been unthinkable for a woman to smoke in the street. I was given the unenviable task of firing our newest teacher. 5분 과외 34편: -able로 끝나는 유용한 단어들! I cracked my screen yesterday, but I think it’s fixable. It’s a quality product at an affordable price. The situation is difficult, but manageable. This room is a little cramped. These seats are so cramped. I feel trapped in this job. It’s so stuffy in here. (X) I feel so stuffy. The election is just around the corner. He ran on a _____ platform. I usually support the Republicans, but I voted for Obama last time around. He has a conservative bent. He launched a vicious offensive against his rival. 1. I dropped my son/daughter off at kindergarten.어색한 표현: I left my son at kindergarten. 2. Thanks for saying that.오답: Thanks for saying like that. 3. My car broke down.오답: My car broke. 4. My phone ran out of batteries.오답: My phone’s battery is go out. 5. I’m interested in that.오답: I’m interested about that. / I have interest about that. 6. He’s one of the richest people in Seoul.오답: He’s one of the richest person in Seoul. A: How does this work? B: Use your head, man. It’s simple. If we just put our heads together, I’m sure we can come up with a solution. Do I every cross your mind? I think you need to take a little break and cool your head. Put your heart into it! Stop making halfhearted attempts. ‘펜션’이라는 말은 숙박시설에 대해서 이야기할 때는 거의 안 쓰고 대신에 ‘bed and breakfast’나 ‘inn’이라는 말을 씁니다. It’s not polite to interrupt. Don’t disturb me when I’m watching football. Please do not disturb the neighbors. I can’t concentrate at home because my little brother is always bothering me. Filling out all this paperwork is such a hassle. Catching a cab can be such a hassle. To distract: 다른 데에 마음이 쏠리게 하다, 남의 관심을 (괜히) 끌다. Messages are such a distraction when I’m trying to study. A: Is that going to be on the test? B: I don’t know, but let’s review it just in case. It’s better to be safe than sorry. A: Hey, Sara. You’re a good dancer. Why aren’t you out there dancing? B: Thanks, but I’m only good at dancing the Macarena. I’m kind of a one-trick pony. Wow, you know how to dance too? You’re such a renaissance man! I’m not much of a foodie. I’ll pretty much eat anything. 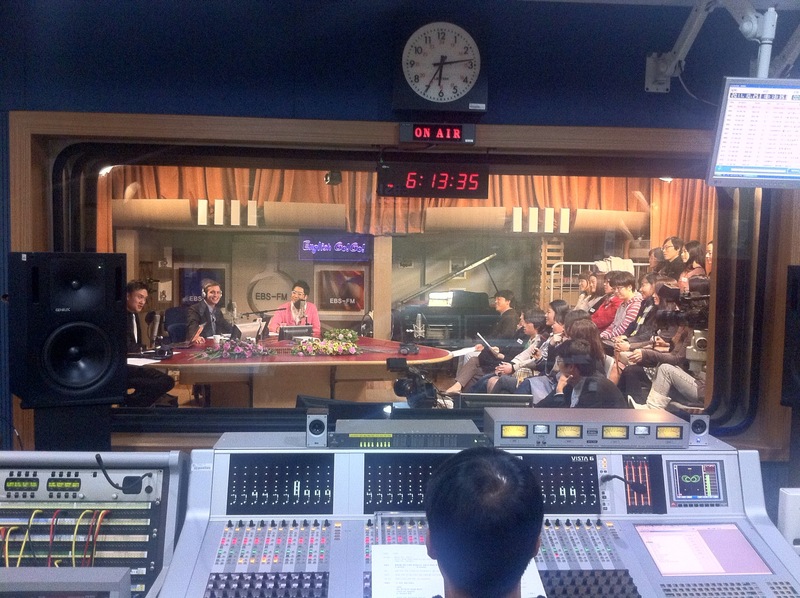 We have a great show in store for you tonight: 오늘 밤 여러분을 위해서 최고의 공연을 준비했습니다. Every day brings a new challenge: 나날이 새로운 도전이다. (o) Please respond to this message. Response는 명사이고 ‘reponsed’라는 단어는 없습니다. 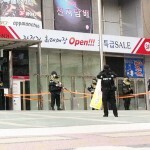 We still haven’t received a response from you: 아직 답변 안 보내신 모양입니다. Reply는 보통 ‘to me’없이 그냥 ‘Please reply’ 꼴로 제일 많이 써요. I got caught jaywalking and had to pay a fine. 무단횡단하다가 걸려서 벌금 내야 했어. Flowers are blooming all across the country. 전국 곳곳에서 꽃이 피고 있다. The flowers are in bloom. There were many people picnicking in the park. 공원에 소풍 나온 사람들이 있었다. Did you walk the dog? 물어보신 문장은 영어로 이렇게 번역하시면 돼요. We’ve traveled all the way across the world to be here. Is it really necessary that we waste our energy looking around for soju? Do I absolutely have to attend this meeting? Do I absolutely have to do it this way? 로마에 가면 로마 법을 따라야 한다. I can’t imagine why he would just say that out of the blue. What a random thing to say! Why would you suddenly bring that up? 화가 났다가도 그 사람의 웃는 얼굴만 보면 마음이 녹아버려. No matter how anger I am, as soon as I see his smiling face, my heart melts. 어색한 표현: He broke our date etc. 오늘의 주제는 한 (팟캐스트)청취자의 질문입니다. 가장 오른쪽에 있다: It’s on the far right. 가장 왼쪽에 있다: It’s on the far left. 그의 정치관은 우편향적이다. 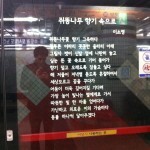 (우익/우파) : His poltics are on the far right. 양극단: the extremes of the political spectrum. 정말 아깝다: What a waste! 정말 아쉽다: What a shame! In today’s talk, I discuss the following expressions. Here is a Sky News article that talks more about Obama’s gaffe. Does anybody out there like old-time New Orleans jazz? Here’s a link to one of my favorite early jazz clarinetists. As a child all of my initial musical training was in classical clarinet. It was quite a shock when I first heard clarinet played this way. Check it out. I found this cool link to great pictures taken out of airplane windows. There are some great shots here. I’ve always been a fan of out-the-window photography myself. Maybe I should post some of my best shots here at some point. 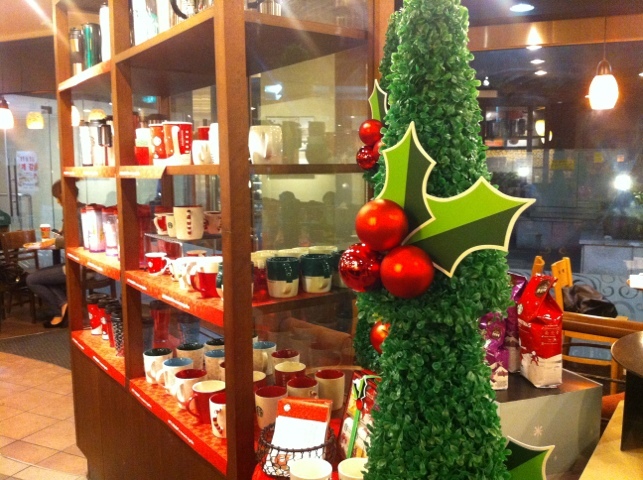 It still shocks me every year when I see how early Christmas decorations go up in Korea. In the US it is very rare to see any red and green before Thanksgiving. But since Thanksgiving is not observed in Korea, storeowners have a straight shot from the day after Halloween all the way through Christmas Day. I love Christmas and the Christmas spirit, but I do think that two months is a little excessive. Today was open studio day at English Go Go. About 30 of our regular listeners showed up for the chance to see how we do the show. It was a fun opportunity to meet the listening audience face to face. Yesterday I traveled to Anseong to participate in the annual Kimchi-making ritual. The process is something I had been interested in since I first sampled the spicy flagship of Korean cuisine, but never had the chance to experience myself. So, despite feeling under the weather yesterday, I woke up early and headed out to the countryside to finally see what it takes to make kimchi — from pulling up the radishes, to sprinkling on the seasonings. The first step, as seen below, involved pulling up the radishes. We choose the smaller specimens because, apparently, they are better suited to making kimchi. The next step was peeling the radishes and slicing them into the appropriate size. After that, we placed the sliced radishes into a tub of water and washed away any remaining dirt. We then arranged the clean radishes in equal layers in a large tub and sprinkled them with salt. The final step was pouring in massive amounts of chili pepper powder and mixing it all up. A few hours later, we took our individual portions and went our separate ways. 제 팟캐스트를 만들기 훨씬 전부터 저는 여러 팟캐스트의 애청자였습니다. 정보화 시대의 혜택: 예일에 합격 안 해도 예일의 강좌를 들을 수 있씁니다. After buying my first apple product, an Ipod Nano, back in 2007, what I found myself enjoying the most was the wealth of free content available through iTunes. I quickly got hooked on a Roman history podcast and also subscribed to a philosophy lecture from Yale University. Even just a few years back, if you wanted to take lectures at an Ivy League school, the only option was to get in to an Ivy League school. To a certain extent, however, the walls of exclusivity that surrounded academia have crumbled and all that is now required to access information for the world’s leading experts is the zeal to self-educate and the initiative to access information. I am thankful every day that I live in an era of where unfettered access to a boundless universe of information is within my grasp. Anyhow, I thought I would share some of my favorite podcasts with you in case you are interested. 역시 제1위는 EnglishinKorean 팟캐스트이지만 다른 들을 만한 게 많습니다. It is also the podcast that I listen to the most, because I have to check the sound quality and edit the content before I publish it. As I’ve mentioned before, the predecessor to the public version of the podcast now available through iTunes was my own personal podcast I used to make for studying vocabulary.제 팟캐스트의 유래는 개인용 어휘 학습 녹음이었습니다. Before I had a website, I used to record myself reading words from my vocabulary list and the accompanying example sentences from the dictionary. I found it to be a wonderful way to learn a lot of new words without an exceptional amount of effort. After listening to myself recite the dictionary entries for the words I had recently come across, I naturally found that I used them in everyday conversation.This practice eventually led to my idea of making a public podcast that could benefit everyone. If you are currently trying to build your English vocabulary, I would recommend this method for its relative painlessness and efficacy.제가 제일 좋아하는 팟캐스트는 다음과 같습니다. 한국인한테 영어 배우는 기능도 있으니까 일석이조겠네요. The following is a list of my favorite podcasts. They may be doubly useful to Koreans as there is the added bonus of listening to a broadcast in English.Stuff You Should Know (가려운 데를 긁어주는 방송)This podcast explains how the things around us work, as well as supplying a bounty information on topics that people are curious about. Yes, despite being a native English speaker born in the US, I do listen to podcasts on English grammar — It’s just that hard. Grammar Girl gives a concise explanation of common grammar trouble spots that native speakers face. I assume this podcast will also be of great help to Koreans. Host Ira Glass brings a new portrait of American life to listeners around the world. The team from Chicago Public Media have a knack for finding interesting — yet unexplored — facets of American life to delve into. Many of the stories I heard on this podcast remain clearly imprinted on my mind, even many years after I first heard them. The traditional Moth format is for people to take the stage and share an episode from their life in a concise telling. Most of the participants are not professional storytellers or entertainers, so the real, unaffected nature of the show is one of its charms. This show relies on the basic, instinctual interest humans have for peering into the lives of others. 영어로 진행하는 팟캐스트를 듣는 것은 새로운 것을 배우고 영어 듣기 실력도 연마하는 최고의 방법! Listening to English-language podcasts is the perfect way to learn something new and hone your English listening skills at the same time! I heard the first buzzing of cicadas today and felt an emotion akin to that which one feels when meeting an old friend after a long time spent apart. Now, normally I am not a big fan of noise pollution at all. I choose coffee shops that keep the music low, restaurants that do not have TVs, and when I hike I stay away from people who blast music the whole way up the mountain. But the pulsating buzz of the Korean cicada is one loud sound that I am always glad to hear. Although, I must admit that if the cicadas stayed around all year round and continued their cacophony incessantly, I would be much less excited to see them. Did you know that there are cicadas in the US as well? Washington plays host to the bugs every 17 years. That’s right, the cicadas found on the East Coast of the United States are a species that only come out of hibernation once every 17 years. The last time they invaded Washington DC was 2004, so they won’t be around again until 2021. I understand that the males make a loud call to attract the females, but as I’ve never heard it myself, I’m curious whether it’s similar to the Korean cicada’s call. The Latin root of the word cicada means “tree cricket.” The Greek word for cicada is tzitzikas, and is an onomatopoeic representation of the sound that the insects make. We soon heard the account of how he had — after recently graduating business school — announced to his father that he wanted to open up a taco restaurant. Despite his father’s vociferous protestationsand diagnosis that the last thing Denver needed was another taco joint, he pushed ahead with his dream. The restaurant now boasts more than 1,000 locations in 38 states. The staff has expanded from the original team of four that we saw to more 26,000 today. 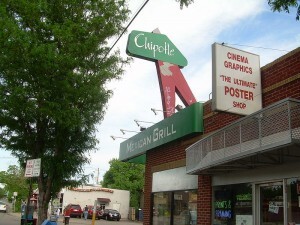 Last year the restaurant was the third fastest-growing company in the United States. I’ve even heard that there are plans for forays into the Korean market. The company now serves more naturally raised meat than any other and operates under the slogan of “food with integrity.” I had always heard stories of the American Dream, but seeing it come to fruition in my very own neighborhood was a inspirational episode for me to witness in my youth. 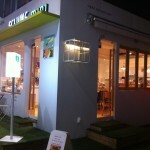 I (very briefly) emceed an international mixer at study cafe in Shinchon a few days ago. I was put in charge of coming up with 12 English-related trivia questions for a coupon giveaway. One of the questions I asked was “What US city is home to the National Cherry Blossom Festival?” The answer, of course, is Washington DC. I remembered hearing a little of the history on a trip to our nation’s capital as a fourth-grader but I had long forgotten the details. Prompted by the recent cherry blossom mania sweeping Seoul, I decided to take a closer look into the origins of the festival’s counterpart in the US. Direct importation of cherry blossom tress was not unheard of among rich landowners in DC and Maryland at the dawn of the 20th century, but it was an amity gift from the mayor of Tokyo, Yukio Ozaki, to the city of Washington DC that really got the tradition going. An 1912 shipment of some 2,000 trees had to be disposed of by fire to the chagrin of all involved after they were found to be infested with pests. The twinges of this false start were immediately remedied, however, with a follow-up shipment of 3,020 trees that were harvested from a group of trees growing on along the Arakawa River in Tokyo. These trees were planted in a park along the Potomac River. 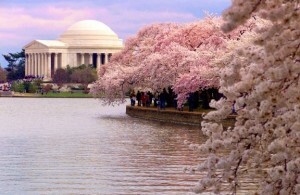 In 1965, Japan again sent a gift of more than 3,000 trees to be planted on the grounds of the Washington Monument. These trees have grown to become a splendid part of the DC landscape while the festival is now a representative event of the district. I’ve been working on a post about prepositions. I think I’ll finally be able to post it tomorrow. I took this picture from the island-style bus stop near Sinsa Station, facing north. It’s so refreshing to see the mountains. 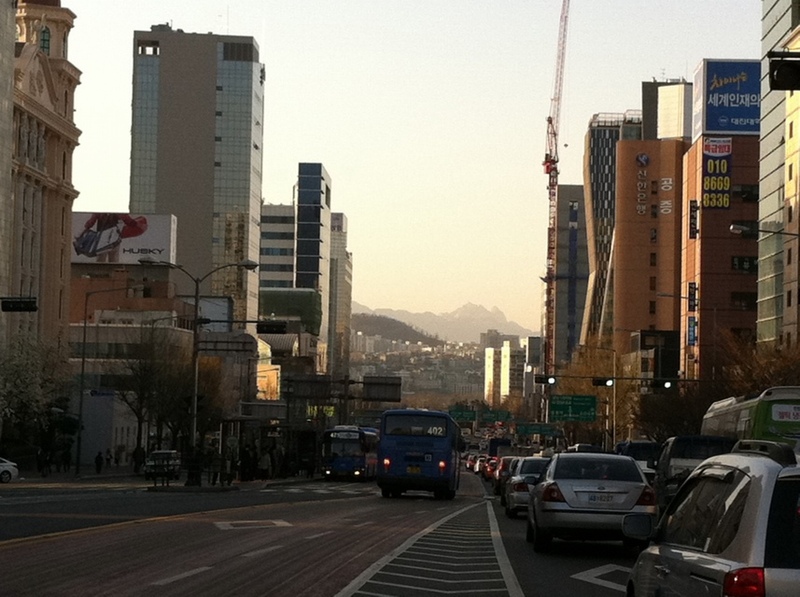 After not being able to see them for weeks at a time due to dust in the atmosphere or smog or fog, sometimes I forget that Seoul is surrounded by breathtaking mountains. Has anyone in Korea heard of the rapper Shwayze? I hadn’t either until one day, while watching an Apple iPhone commercial in the States, I first heard his music playing in the background. Of course, at the time, I didn’t know who it was, so I copied down the lyrics and googled a couple of stanzas. Apparently hundreds of others had done the same, because the search ranking for the few phrases audible in the commercial was already topping Google’s autocomplete suggestions. I looked the singer up on Wikipedia and found out that he had been a barista at the Malibu Starbucks before getting his big break in 2008. I previewed a few songs on iTunes and decided to buy the whole album. These days, most singers usually provide one or two good tracks on an album and load up the rest of the CD with filler. This practice is common across all genres, but seems to be especially rampant in hip hop music. Most of the time when I buy an album, I feel like I’ve been scammed afterwards. That’s one of the main reasons I stopped buying new CDs all together and just switched to used CDs at the independent record stores in LA, like Amoeba etc. This was the first album since maybe Tupac that was only music worth listening to and no filler tracks. After Michael Jackson’s death, I was reading up on the Thriller album from the early 80s. Prior to the albums release Michael had stated that he wanted to create an album in which “every song was a killer.” I wish more singers had such inclinations nowadays. I’m sick of record labels force feeding us terrible music. I’m sure consumers would return to the record stores if artists would start producing better music. Anyway, here’s a couple of Shwayze songs to listen to on YouTube. If you’re into hip-hop, I’d definitely recommend you buy the whole album. Did everyone have a day filled with prankish fun and surprises? I was surprised when I first found out that Koreans observe April Fools’ Day too. The origins of the custom are a little unclear, but it seems that it may have begun in 17th-century France. At that time New Year’s Day was still celebrated on April 1 in some villages. Those who celebrated on January 1, mocked those less enlightened and treated them as fools. This may have been the root of today’s custom. During the Joseon Dynasty, there was a similar prank day, but it was held on the first snowy day of the year. At that time, regardless of rank, courtiers would play various pranks on each other and were not subject to punishment for their behavior. It was also the only day that a person could refuse a royal decree without fear of punishment. The most common prank was sending bowls filled with snow. The person who opened that package was considered the loser and had to grant a wish to the sender of the package. Many American companies took April Fools’ Day quite seriously and always manage to assemble a clever lineup of tricks. Here is a video that introduces “a new service” from Google that turned out to be just an elaborate prank. Google Translate for Animals , Animal Translate 1 , Animal Translate 2 . 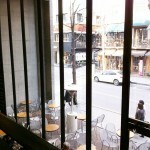 I began the day in Shinchon and finished it in Cheongdam. 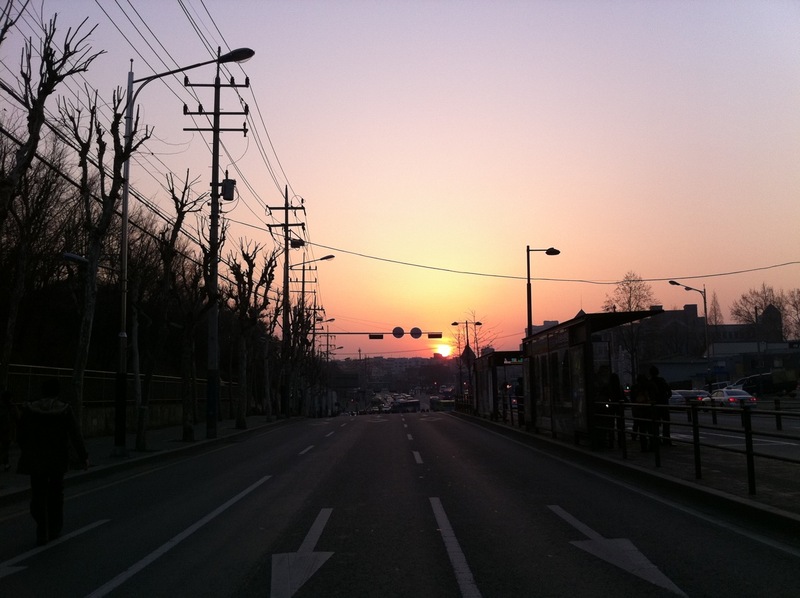 The first picture is of the sun setting by Yonsei Severance Hospital. 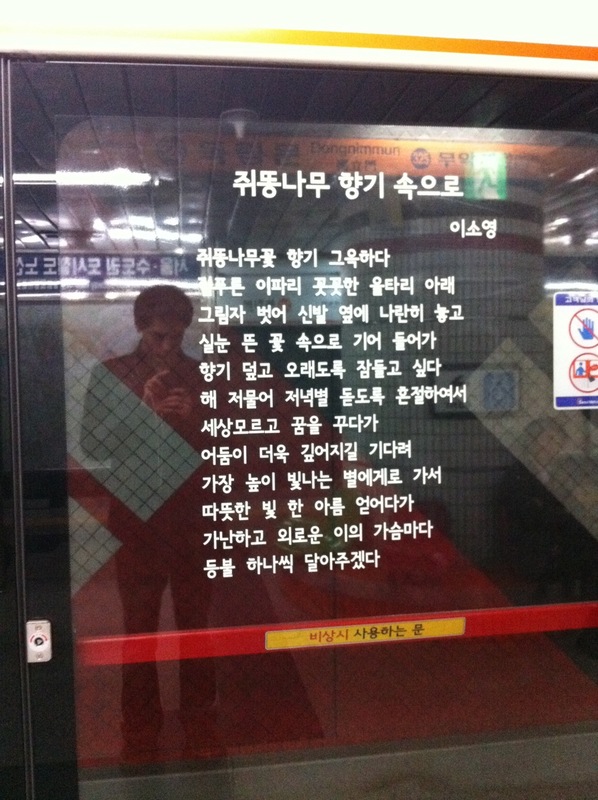 I took Line Three and headed across the Han to Apgujeong. I’ve recently been enjoying the poetry popping up on the glass safety doors of the subway stations, so I immortalized the moment with a picture. 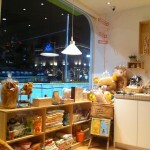 I walked over to my favorite smoothie place, across from Galleria Department Store. If you are ever in the neighborhood, you should give it a try. They offer all kinds of interesting organic creations that you won’t see on the menu at your run-of-the-mill smoothie places, including my favorite: a radish and peanut smoothie. Go for the scone set for a little extra. It’s definitely worth it. Phew. I just finished “Power 표현 2.” I’ll edit it a little more in the morning and post it tomorrow evening. I’ve been so busy expanding the site that I haven’t had much time to work on the primary content recently. I’d also like to reopen questions soon — perhaps this weekend. Another idea for the site occurred to me today that I think will be beneficial and amusing for all our visitors. I’ll probably unveil yet another new section again within the week. 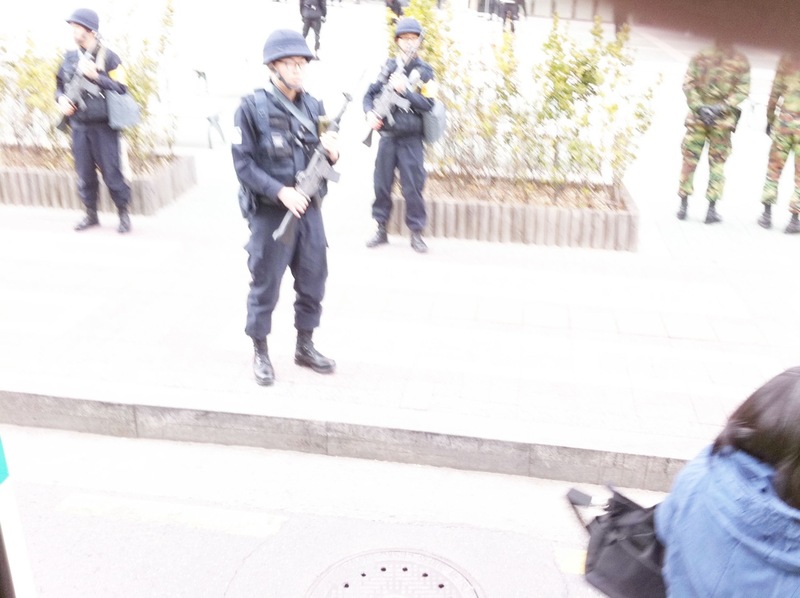 Getting off the bus in front of Shinchon Train Station I was greeted by the scene in the first picture below: machine gun-toting soldiers who appeared to be on some sort of mock special-ops mission. 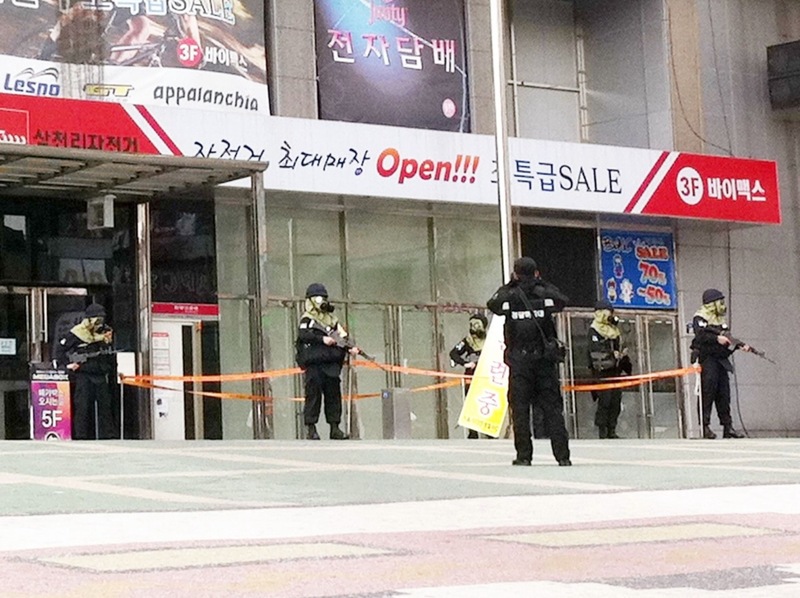 Living in Korea, I’m used to storm troopers and riot cops — usually involved in drills or out to quell protests — but I can imagine that those on their first trip to Korea would be shocked by such a spectacle. 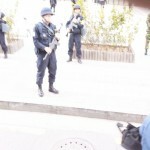 I still remember the first time I saw Korean riot police out in force. It was the summer of 2002 and there was a line of black-clad, fresh-faced recruits stretching as far as the eye could see. I had never seen police in riot gear before, let alone hundreds and hundreds in one place. I thought I was witnessing a military coup. My Korean friend just chuckled and told me that it was nothing; probably just a protest by the Myeongdong Cathedral. 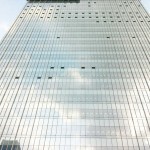 The third picture is of a new building going up near Myeongdong. 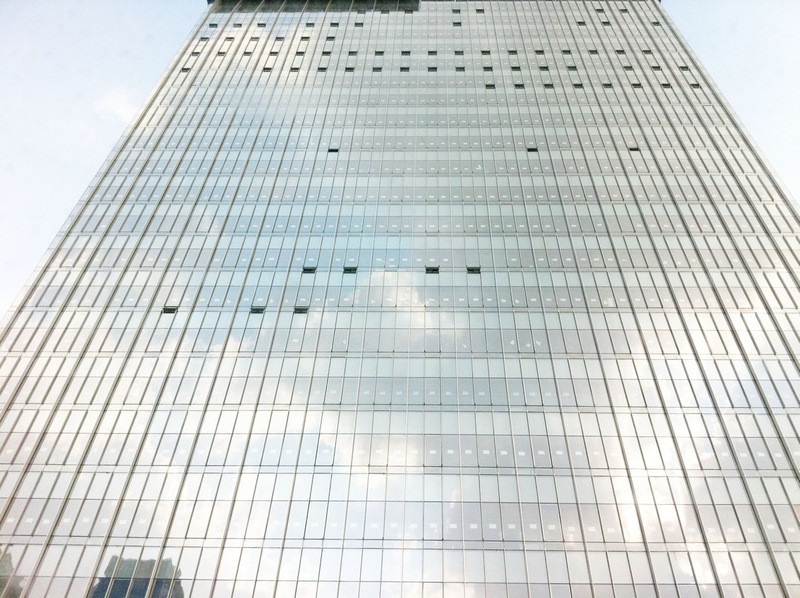 All those pieces of paper attached to every single window must be those ‘유리 조심’ warning signs. That’s a lot of signs! 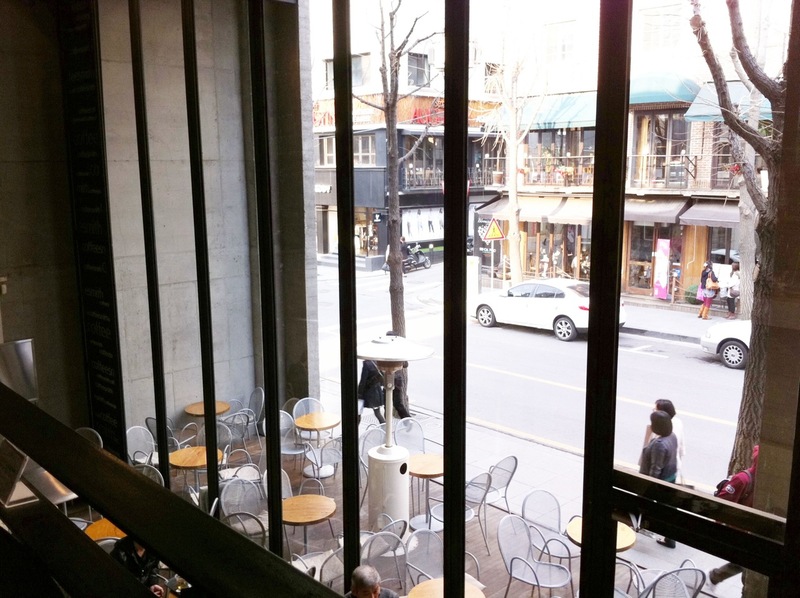 I’m writing today’s post from Coffeesmith on Garosu St. in the Cheongdam neighborhood. I spend most of my time north of the river, so it’s always a little bit of a culture shock when I venture down south. I’ve never felt too at ease among the Beautiful People. I just got started on the second “Power 표현” post. I think I should have it up by tomorrow evening. I have to at least finish it before Thursday so I can lecture on it at the free conversation class. 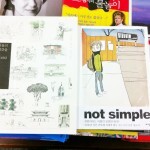 I stopped by Youngpoong Bookstore today for the first time in a long time. I’ve always preferred it among the three large booksellers in the neighborhood because it is usually the quietest. But every time I drop in, it seems to be getting smaller and smaller. 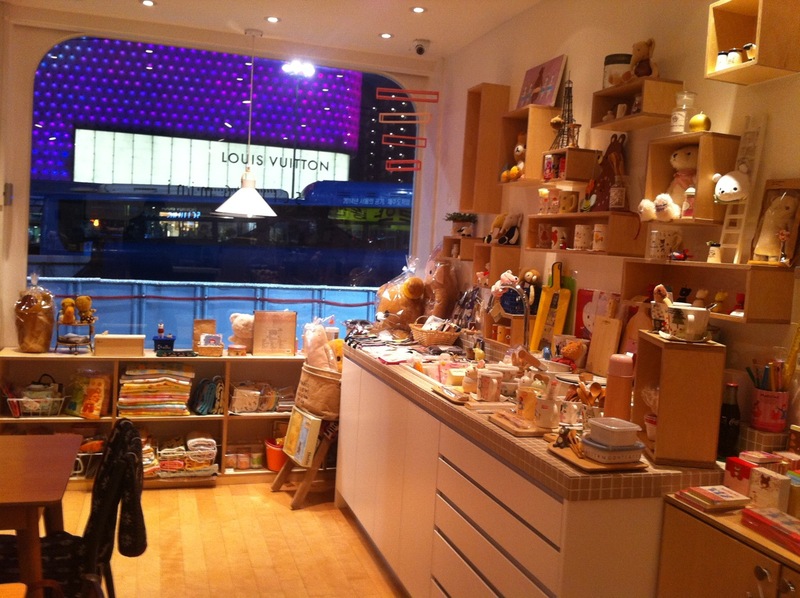 I was saddened to find that it had again shrunk — now to the point that the entire lower floor has been converted to retail space for gifts, trinkets, and stationery. I guess books are a thing of the past on the lower level now. I remember back a few years ago when it occurred to me that learning Korean history through Korean textbooks might be a good idea and I finally located the “중2용 국사” text here on the lower level over by the stairs. I was pleasantly surprised by the (perhaps government-subsidized price) of W2,000. 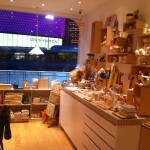 Now there is just a selection of lamps and other household goods left in its place. 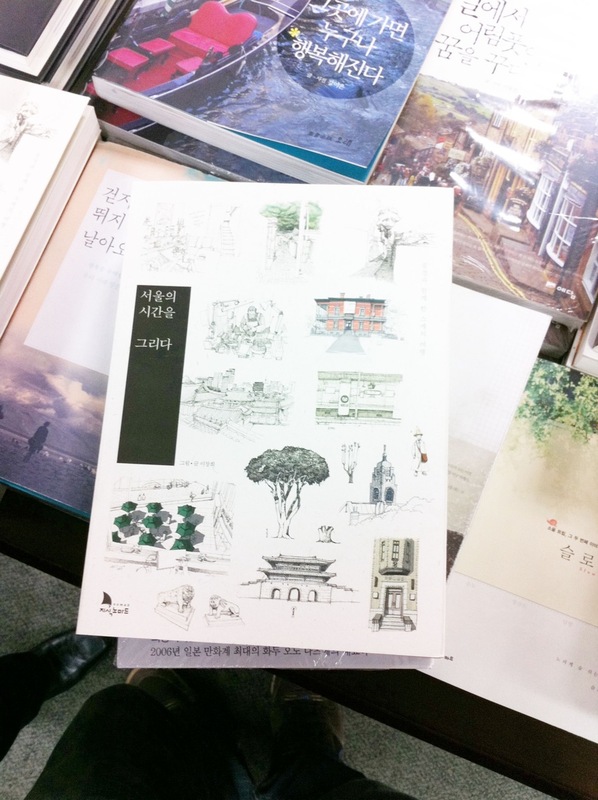 I understand that as most Korean consumers have switched to online purchasing of books, many of the larger booksellers have had no choice but to slash their book space in favor of the higher profit margins provided by gifts and other knickknacks. I just miss the old days when I could wander through a seemingly endless maze of books until I narrowed my picks down to the day’s purchase. I really hope the bookstores don’t get any smaller. These pictures are of today’s purchase. I hope they turn out to be good reads. I mostly spent the day at home today — getting caught up on the questions people have left and working on some new posts too. I spent about an hour on each of the questions I answered today, so it took a little longer than I had anticipated. I’m starting to look forward to the Cherry Blossom Festival (벚꽃 축제). It’s always a really pleasant time of the year. 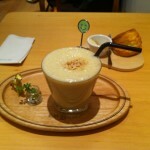 I can’t handle the crowds, though, so I usually wait for a time less bustling time: late at night on Monday or Tuesday. Now I’m typing this as I sit in one of my favorite coffee shops north of the river, Coffee Studio. 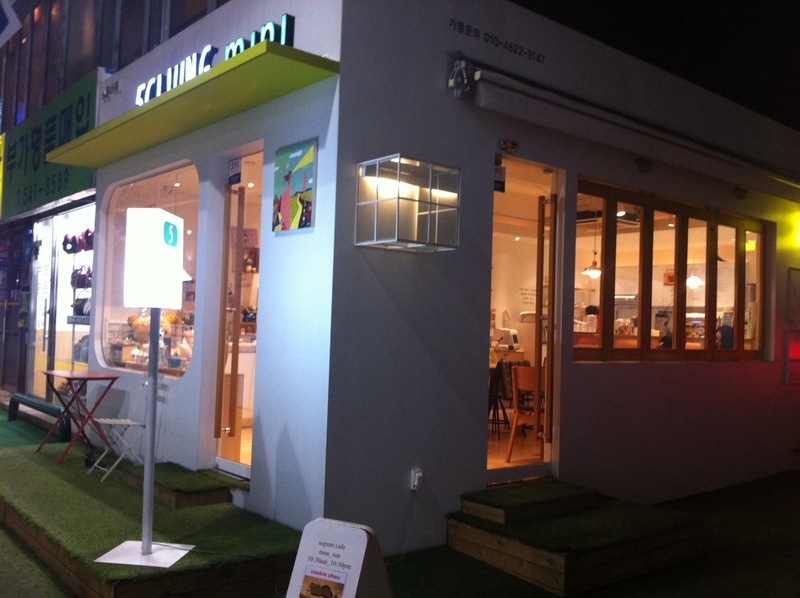 If you live close to Bulgwang Station, you should give it a try. It’s very close to Exit 1. Their taste in music is also pretty hip too. I’ll post some pictures in case anyone is interested in checking it out. I’d recommend the Dutch Coffee. 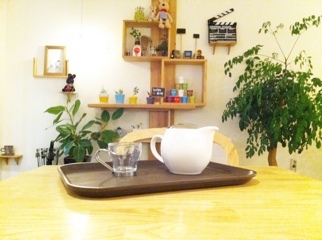 The hand-drip coffees are always really great. I was surprised to see snow on Mt. Bukhan again, so late in the season. I wonder when the long dark night of winter will finally draw to a close. I just learned how to say “아닌게 아니라” in hanja: “미상불.” 써먹어야죠 ㅎㅎ. Although I’ve never once in my life used the expression “아닌게 아니라” my specialty is learning phrases that no one uses — in English and Korean. But that phrase actually has the opposite meaning of the Korean phrase. Yesterday — for the first time in a long time — I took Line 9. I love taking Line 9, but unfortunately I live nowhere near the area serviced by Seoul’s newest addition to the system. But sometimes when I head to Gangnam, I go out of my way to catch one of the line’s shiny, speedy express trains to Shinnonhyeon Station. 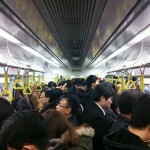 Everyone was waiting for the express train, so when I did catch the train at Dangsan, it was completely packed. Luckily the entire trip all the way to the last station only takes 17 minutes. 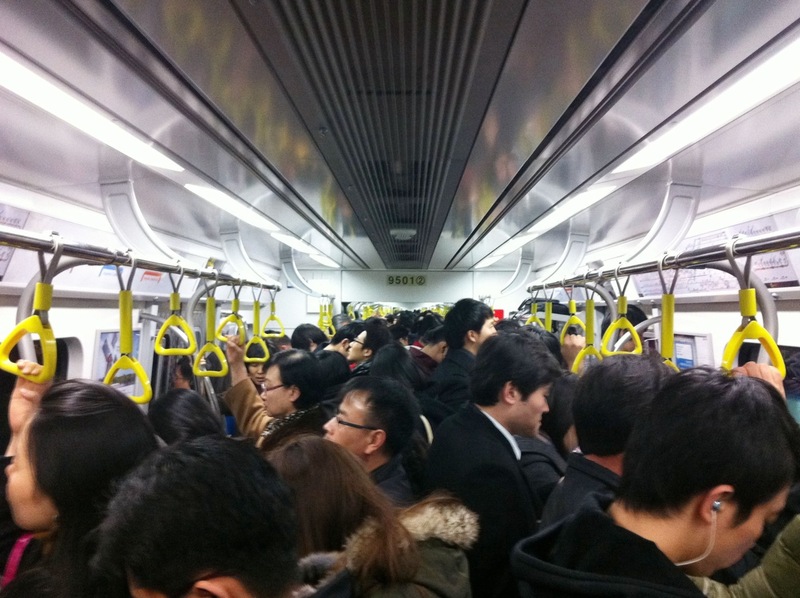 만원 열차, 버스 등: a completely packed train, a packed bus etc. I heard that it will continue to be unseasonably cold again for a few days. It seems like this year it’ll continue to be chilly until all of a sudden getting really hot and humid. I hope we can have a few weeks of pleasant weather before the sticky spring begins. He recommended me to see that. 이 문장이 왜 틀리는지 알고 싶어요. 저는 “잉글리쉬인코리언” 이라는 책을 통해 이제서야 뒤늦게나마 예전 팟캐스트 방송 및 유튜브 강의를 듣고있는 애청자입니다. 인터넷에 댓글을 거의 남겨본 적이 없는데, 마이클 선생님에게 감사하다는 말을 꼭 전하고 싶어서 이렇게 남기러 왔어요. 친숙하고 편안한 강의, 일상적인 많이 쓰는 표현들에 대한 강의가 도움이 많이 됩니다만, 무엇보다도 무료로 이런 의미있는 봉사를 하시는 모습에 크게 감명 받았습니다. 말투에서 마이클의 따듯한 마음이 느껴져요. 그래서 귀에 더 쏙쏙 들어오는 것 같아요. 영어학습 이외에도 여러가지 문화에 대한 견해나 경험담을 이야기 해주시는 것도 참 재미있구요. 저는 음악을 하는 사람인데, 제 관심분야가 음악,문학,역사,언어 이거든요. 그래서 마이클의 생각과 말들이 제게도 많이 와 닿는답니다. 뒤늦게 듣기 시작해서 아직 다 들으려면 한참이나 남았지만, 꾸준히 열심히 재미있게 잘 듣겠습니다. 하시는 일 바라시는 일들 모두 성취하시고 언제나 좋은 날들 되시기를 바래요! 저는 마이클 쌤의 열열한 애청자입니다. 직딩이구요.. 영어회화 공부하던 중에 마이클 쌤의 팟캐스트를 우연히 접하고서,, 1년 가까이 매일 듣고 있습니다. 정말 재미있고, 마치 원어민 친구가 설명해 주는 느낌이라서 정말 좋은 것 같아요..
하여튼 이렇게라도 감사의 글을 남기고 싶어서 정말 오랜만에 인터넷에 글을 남깁니다. 네. 저는 뉴저지에 살고요, Global Interpark라고 인터파크의 LA지점인것 같은데, 거기서 책을 오더하면 어떤책들은 LA에서 배송되거나 어떤책들은 한국에서 LA로 배송되어서 뉴저지로 보내주세요. 시간은 좀 걸리지만 괜찮습니다. ^^ 가끔 한국책도 보고싶어서 거기서 주문을 해서, 이번에 마이클쌤의 책도 같이 주문했어요, 한권 더 사서 친구에게도 선물해주려고요. 신경 써 주셔서 감사해요~ 완전 친절! 회사에서 일할때 미국사람들과 이야기 하는게 대부분이라서, 회사에서나 밖에서 얘기할일이 있을때 마이클쌤 강의에게 익혔던 문구들 막 사용하고 ㅋ, 강의를 통해 더 많은것들을 이해하면서 언어적인것 뿐만 아니라, 의미들까지 이해해서 영어가 더 폭넓게 이해되고 있습니다. 열심히 듣고 공부하고, 마이클쌤 항상 응원할께요~ 궁금한 거 있으면 또 올릴께요~ 고맙습니다! I’m really glad to hear that my work has been helpful for you. Were you able to buy the book in the US? As far as I know, it’s not for sale there. What part of the US have you been living in? 그리고 한가지 아주아주 중요한 제안 하나 드려요. 잉글리쉬 코리아 닷컴 페이지 마다 너무 많은 내용이 있어서 동영상 하나 보고 싶은데도 너무 오래 걸려요. That may be a good idea. I’ll think about it a little more and make a decision. It’ll probably take a long time to reformat the site that way, though. I noticed your informative video lecture recently. It is very helpful and useful to me. 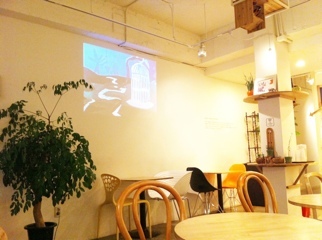 I watched your lecture today titled “마이클의 영어과외 – 영어답지 않은 표현 5개”. 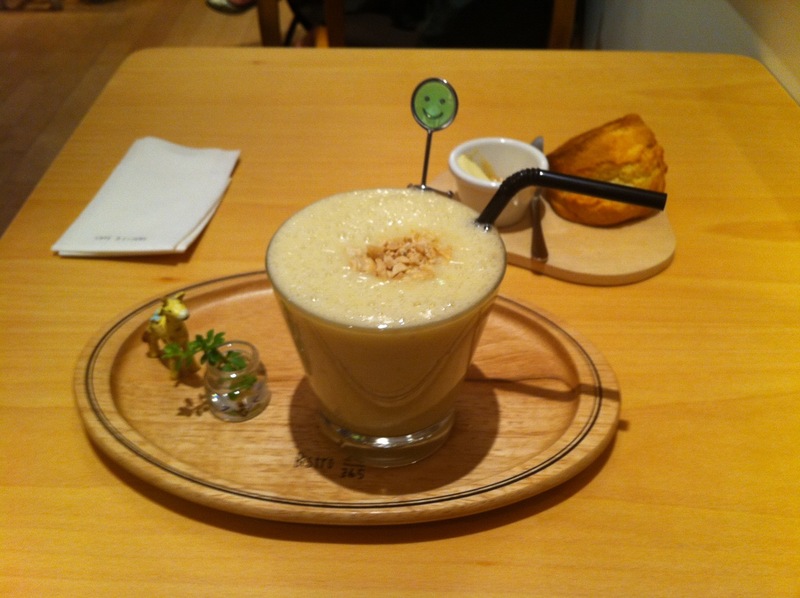 It was also very good. However, I pointed out one thing to correct regarding to the curse of the goat you introduced during the lecture. This curse is related to Chicago Cups instead of Boston Red Sox. So the curse of the Billy goat is still effective. The curse for Red Sox was Bambino’s curse. 어떻게 하다 마이클씨 잉글리쉬인코리언닷 컴을 알게 되었습니다. 미국분이 어떻게 한국어를 그렇게 잘 하시는지 부럽습니다. 저는 미국에 10년동안 살았어도 아직도 영어를 잘 못합니다. 이렇게 좋은 싸이트를 운영해 주시니 감사드립니다. 영어를 열심히 배워 보려고 합니다. 감사드립니다. 그리고 잘 생기셨네요? 멋있습니다. 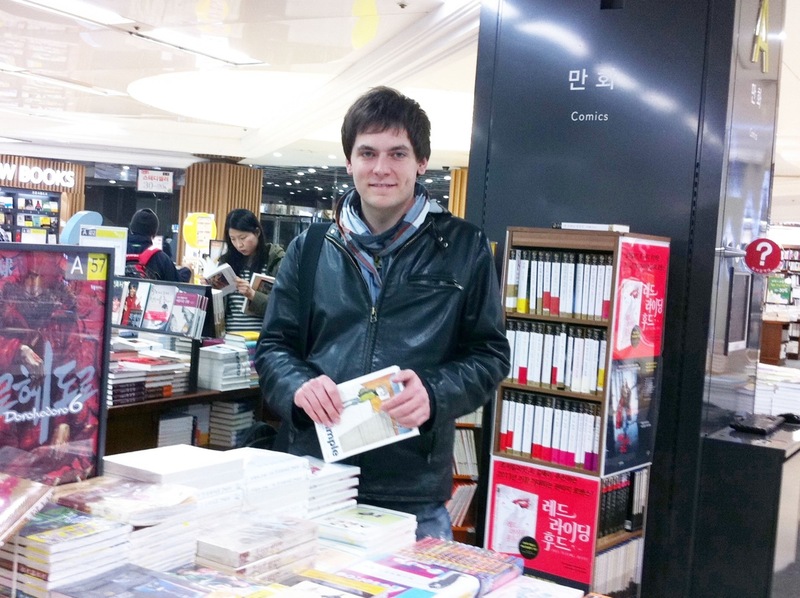 I was fortunate to be able to come to Korea and just concentrate on learning Korean for the first two years. If I had needed to work at that time, I’m sure learning the language would’ve taken much longer. I found your “Englishinkorea.com” today, and it is amazing!! very useful!!! 안녕하세요? 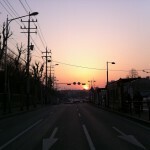 마이클 선생님, 저는콜로라도 Greenwood Village에 살고 있는 43살 남성입니다. 미국온지 15년이 되었고 그럭저럭 의사소통하는 것에는 문제가 없지만 제대로 영어하는 것과는 거리가 있는 듯해서 다시 본격적으로 영어 공부를 시작 하게 되었어요. 유튜브에 강의하신것을 보고 이 웹사이트를 알게 되었습니다. 다른 팝케스트 방송도 들어보았지만 마이클 선생님만의 현지영어와 해박한 한국어 실력에서 나오는 강의는 타의 추종을 불허한다고 하겠네요. 감사합니다. 마이클 선생님이 콜로라도 출신이라는 것에 다시한번 놀랍고 반갑고 합니다. 다음에 오실때에는 제가 연락한번 할테니 식사한번 하죠. 당연히 제가 모시겠습니다. 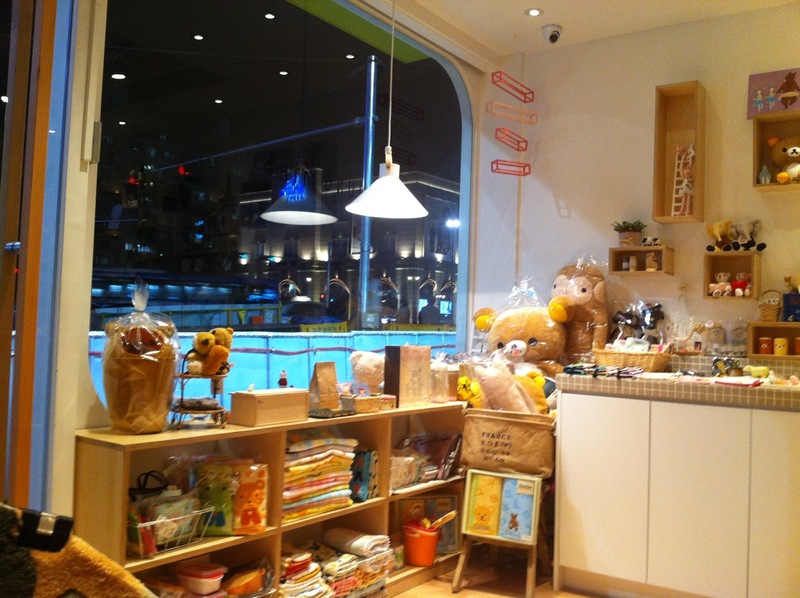 Greenwood Village에 사시면 우리 정말 이웃이네요. 저희 집은 Cherry Hills 쪽에 있거든요. 다음에 동네에서 보면 되겠네요. 페이스북을 쓰시면 꼭 친구 신청하세요. 그럼 다음에 가면 더 쉽게 연락할 수 있을 거예요. 와~~ ‘맨날’의 표준말이 ‘만날’이라니 처음 알았어요!!! 사전 찾아보니깐 정말 ‘만날’이라는 단어가 있네요!!!! 마이클 선생님도 우리나라에서 한국인들의 영어 향상에 지대한 업적을 남기신 분으로 기억됐으면 좋겠습니다. Thanks so much for the words of encouragement. I’m glad to hear that you are gaining a lot from the site. I too hope that one day my work reaches a wider audience. At this point, only a few hundred people make it to the site every day, but there are hundreds of thousands of Koreans studying English. I just wish the people spending so much of their hard-earned money on English education knew that there was a free alternative here. I’m not sure if you can remember me . I aske you how I could maintain my english few weeks ago in australia.Fianally,I came back korea 2weeks ago and Now I’m in Yong-in where my uni is in. Today I just stopped by your website again.It was so good thing that you started as new episode(?). I haven’t used english since I came back korea nowadays I feel like I have to start english again not to forget 🙂 I’ll stop by more often and I’d appereciate if you could recommend any community that you might know or you are joining now to exchange language.Becuase ,As you might know,I guess Meeting people and making friends is almost best way to learn language. I hope you had a great time in your hometown while you were there. 열정적인 강의와 귀한 자료들 너무 감사합니다. Thanks for the compliment. I’m glad to hear you like them! 아 왜 이제서야 찾았을까 탄식하면서, 퇴근 후 거의 매일 열심히 들었어요!! 일단 새로운 언어의 장벽을 한번 넘어본 사람의 경험담 가득한 생생한 강의이기에!! 너무 많이 봐서 마이클 한국어투 성대모사 할 수 있을 것 같아요 학.
I appreciate your passion for this site and trying to give your knowledge of English!! Repetition is very hard to me but I try to reread this website teaching. Even though this lecture is five min, it is not easy to say those naturally. 한국어로 미묘한 차이를 자연스럽게 설명해주시고 꾸준히 해주시니 감사드립니다. 계속 분발해주셔서 많은 사람들에게 도움이 되기를 빕니다. 저는 최미현이라고 합니다. 한국사람 이구요. 아주 우연한 계기로 집에서 강아지와 놀다가 마이클의 팟케스트를 듣게 되었습니다. 처음엔 아주 가볍게 ‘이거 재미있네? !’라고 생각하다가 다음 날 ‘다시 한 번 들어봐야겠다.’라는 마음에 팟케스트를 듣게되었습니다. 지금은 이 사이트에 오는 일이 아침에 일어나서 빠지지않고 하는 일과중의 하나가 되었구요. 그래서 이렇게 글을 쓰게 되었습니다. 마이클의 팟케스트를 듣고 동영상을 보면서 영어에 대해 다시 한 번 생각해 보게 되었습니다. ‘언어’라는 보다 넓은 시각으로 ‘영어’를 바라보게 되면서 그동안 저의 영어공부를 되돌아보는 시간을 가졌고, 잠시 놓았던 영어공부도 다시 하게 되었습니다. 다양한 표현도 물론 도움이 되지만, 진도에 연연하지말고 하나의 기사를 반복해서 정확히 아는 것이 더 중요하다는 말과 발음보다는 정확한 문법이 중요하다는 등의 다양한 이야기들이 저에게는 아주 큰 도움이 되었습니다. 학습자료나 도움의 말들 뿐만 아니라 여러가지로 감사합니다. 항상 건강 조심하시고 꾸준히 내딛는 마이클의 발걸음에 응원을 보내겠습니다. Thanks for the nice comments! Are you still listening to the show every morning? You may run out of episodes soon ㅎㅎ. I’m really happy to hear that the show has given you new inspiration. 그럼요!! 아직도 매일아침 이곳에 와서 팟케스트도 듣고 동영상도 보고, 어떤날은 두 개씩 듣기도 해요. 옛날 팟케스트를 듣다보면 시간여행을 하는 기분도 살짝 들어서 참 재미있어요. 매일 팟케스트만 듣다가 오늘 동영상 강의쪽에 와봤는데 새로운 강의가 있어서 무척이나 반가웠습니다. 추신 : 마이클씨의 댓글이 영어로 씌여있어서 또 다시 영어로 댓글을 쓸까 한글로 쓸까 망설이다가 어감 전달에 자신이 없어서 그냥 한글로 썼습니다. Hi, thanks for telling me about the shows that you enjoyed. When I was in America this last time, I took more shots of vanity plates. Maybe I can make those into another show on the same topic. It seems like a lot of people enjoyed the wordplay and witticism that could be learned through license plates. 이렇게 좋은 사이트를 왜 이제 알았을까요??? 정말 감사해요! Your Korean is so good. 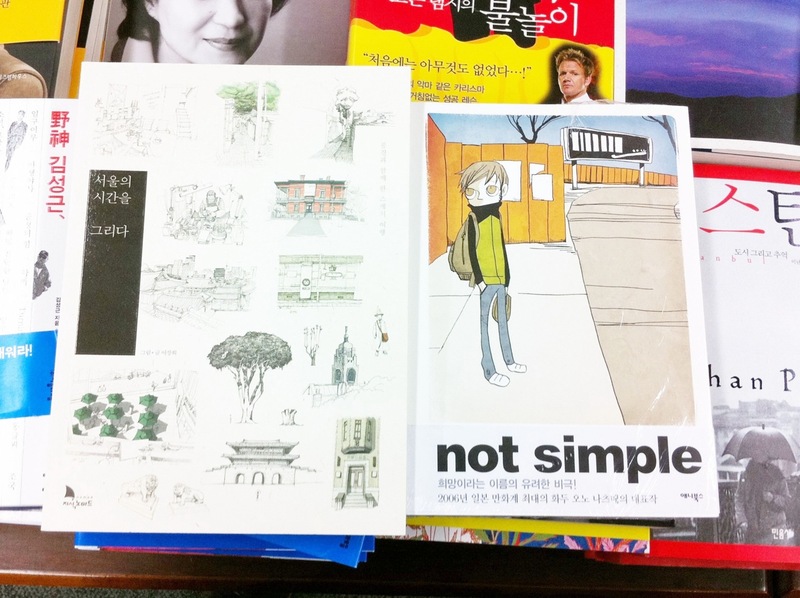 How did you study Korean? How long? I’ve been studying Korean now for about 10 years, but I’ve still got a long way to go. I’m glad that you find the site to be helpful. Let me know if there are any specific expressions you are curious about. Thanks for stopping by. 잘 보고 있어요, 너무 길지도 않으면서 알짜배기들을 배워가네요.. 감사합니다! 홧팅!! 페이지를 나누어 이 screen에 나타나도록 하면 이곳을 찾는 이가 기뻐할 것 같습니다. 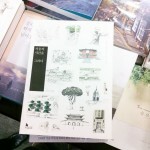 It have been very slowly found to me in this page why there are a lot of sources as ‘5분 영어과외’ in. If you separate the sources each other in another page it will open so fast. Then many people who have joined you through this site will be glad your kindness. 2주전 메이플릿지에 있는가족의 소개로 마이클의 5분 잉글리쉬를 알게되었어요. 이 사이트를 우연히 혜민스님 덕분에 알게되어, 그냥 가벼운 마음으로 스윽~~구경하러 왔었는데요. 또한 이런 좋은 사이트도 열어 주셔서 감사하네요. 구경하다보니 여행다니시면서 사진도 찍으시는 것 같은데, 한국은 정말 아름다운 곳이 많아요. 외국인들은 제주도를 특히 많이 알고 찾지만, 한국은 그 외에도 관심을 가지고 찾아보면 곳곳에 아름다운 곳이 많답니다. 그런 곳들은(사진을)찍으면 바로 엽서가 되지요~ ㅎㅎ 한국에 얼마동안 계실지는 모르겠지만, 두루두루 많이 여행 다녀보시기를..
제가 사는 부산도 언제 한번 시간내서 놀러오세요. 서울에서는 먼거리지만, 그럼에도 불구하고 오시면 후회하지 않을거에요. 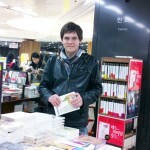 I will try to visit here as much as I could and learn to improve my English through your website. P.S: This site is awesome!! and I can’t wait a new post for 5 minute lecture and other things!! This site is very useful for me to keep learning English, so thank you for your efforts, sincerely. 얼마전(제 기준) 어떤 podcast에서 Tobey Maguire 닮았다고 안 잘생겼다고 했는데 비교를 하자면 Ewan McGregor 도 닮아서 꽤 잘생기고 매력적이십니다… 심지어 Tobey Maguire도 잘생긴 얼굴로 간주될걸요. 저는 아름다운 걸 상당히 좋아합니다. 이걸 다른 사람은 못보고 마이클씨만 보면 더 좋겠지만 …쑥스러워서..
Wow, this website is awesome. So helpful for koreans, learning English. I really appreciate your work! Thank you for everything in both sides to speak in Korean and English. I will make try to listen to you everyday and enjoy this site. I will try to listen everyday and enjoy this site. 저도 학교에서 영어를 가르치고 있는데요..
다른 것 보다도 마이클 선생님 정말 멋지다는 말을 꼭 하고 싶었어요. 와~ preposition post 완전 기대되네요~! Hi~ do you hear me? I visited your site while internet surfing on the Naver. Happy to meet you. I think you like Korean, and you really love teaching English, communicating with people. Actually I often feel tired of Native English speakers,because they just spoke English, didn’t want to communicate sincerely.